ZetaTalk Prediction 2/18/2005: Swirling in the oceans and the air will only increase, not only becoming more violent and following each other in short order, but also will begin slamming into each other, creating weather conditions utterly unpredictable and horrific in their consequences. Forecasters will be dismayed. ZetaTalk Chat Q&A: Commentary 09/30/2017: With a stronger Polar Push the bounce back would likewise be more extreme, and the bounce back occurs when the Sun is over the Atlantic. As the wobble continued to get worse, the Figure 8 corrective lean to the right and left also got more extreme. This sets the stage for the current 2017 hurricane season. And again hurricanes on headlines. This time - Eastern Pacific basin. 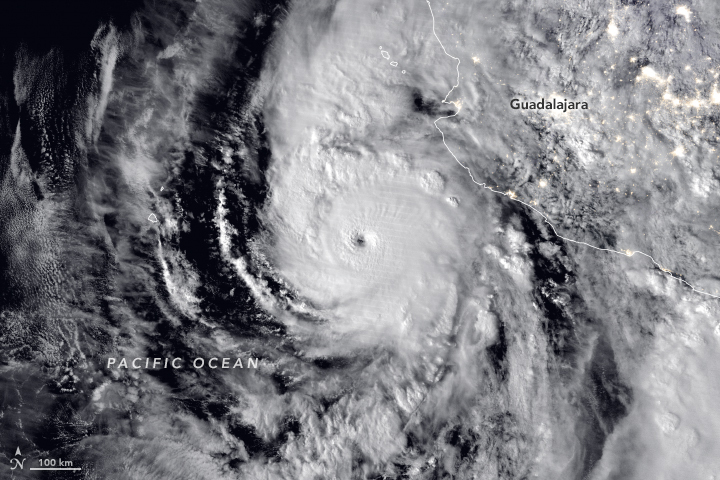 2015 Eastern Pacific hurricane season broke all records with incredible hurricane Patricia. Although present hurricane season not so 'shattering/epic', he was broke some records and is quite comparable with 2015 and 1992. The Atlantic hurricane season certainly hit the United States hard this year. First came Florence. That storm dropped 91.3 centimeters (35.9 inches) of rain. Then Michael roared ashore as the third most-intense U.S. tropical cyclone to ever hit landfall. But the eastern Pacific had it even worse. As of October 22nd, this region recorded its most energetic cyclone season on record. "So what made 2018 so wild? Klotzbach points to two things. One is low amounts of wind shear in the upper atmosphere. The other is far higher-than-normal sea-surface temperatures. “The northeast Pacific was quite toasty this year,” he says. “Sea-surface-temperature anomalies were 1 to 1.5 degrees Celsius [1.8 to 2.7 degrees Fahrenheit] warmer on average across the basin.” That’s a primary factor, he explains, behind the growth of cyclones. Weaker-than-normal winds in the upper atmosphere led to a drop in wind shear. That’s a turning of the winds with height. If the winds veer too much, they can tear apart an infant storm before it can grow into a towering monster. But Klotzbach points out that wasn’t an issue this season. “We had reduced shear throughout the [eastern Pacific] basin for most of this year.” <...>"
We can see that the seasons 1992 2015 and 2018 have about the same amount. This suggests that the number of strong (major) hurricanes increases. <...>All other factors equal, warmer water will support more intense tropical cyclones for longer periods of time. As well noted in this article, already two record hurricane seasons have occured in recent times. 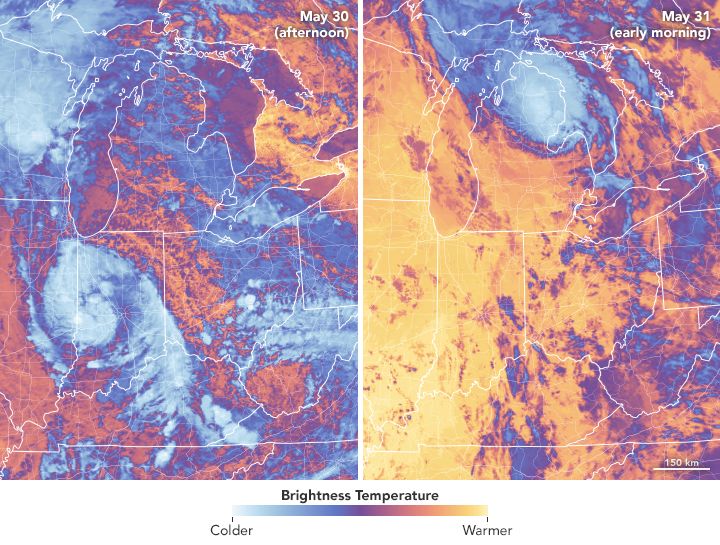 One storm formed before hurricane season began and ended up in Michigan. A record number of storms have been subtropical. Some named storms have ended up in unusual locations. Another unusual aspect of Alberto is that it held on as a tropical depression all the way into Michigan, finally becoming a remnant low near Saginaw early May 31. The season total of seven subtropical storms is the most for any hurricane season on record, according to Dr. Phil Klotzbach, a tropical scientist at Colorado State University. This year easily beat the previous record of five storms that were designated subtropical at some point during their existence in the 1969 hurricane season. 3) In September's first week, Florence was in a spot in the Atlantic that's typically far enough north for a hurricane to curve out to sea and not impact the United States. No tropical storm or hurricane in recorded history has passed within 100 miles of Florence's location on Sept. 7 and still made a United States landfall. But Florence defied what weather history statistics tell us after weakening temporarily when it encountered hostile upper-level winds. That weakening phase allowed Florence to follow a steering flow that would bend it west for several days. Earth wobble is getting stronger!